Chimney Services – WE WILL FIX IT RIGHT, THE FIRST TIME! Creative Masonry & Chimney is the first choice in companies for chimney service in CT. Our chimney sweep division is among the finest in the industry. Our sweeps have extensive experience with installing wood & pellet stoves, chimney sweeps, repairs, liners, chimney caps, dampers, flashing, chase covers, gutter cleaning and dryer vent cleaning & installation. Creative Masonry & Chimney can maintain and solve all of your chimney repair needs. Most of our repair products come with a ten-year manufacturers warranty. Our chimney caps and Stainless Steel Relining Systems hold either a Lifetime or Forever manufacturer warranty. Our highly trained Chimney Professionals know your chimney inside and out. Not only do we service and maintain chimneys, we also repoint and build them. Let our Factory Authorized Installers perform your next chimney service! Our technicians can be radio dispatched for quick prompt service. Call Now! Make Creative Masonry & Chimney your chimney sweep for life!! No matter how old, new, large or small your chimney is, have one of Connecticut’s most trusted chimney repair companies inspect, restore, and prevent future damage to one of your home/business’s most classic features.Creative Masonry and Chimney has produced professional and quality repair work on chimneys for over 20 years and can guarantee our work. Our company gives free estimates and can ensure efficient work that will last with warranty-protected products. Regular inspections and repairs are a necessary safety measure that will protect your home or business from fires, pests and other accidents. Schedule an inspection today! Does Your Chimney Have Water Damage? White stains forming on bricks. Rancid smell (especially when it is humid outside). The earlier you detect these signs, the less expensive your chimney repairs will be. Our chimney repair experts will assess the damage, give you and estimate and work to repair and prevent further damage. Our company only uses the best-manufactured products for water damage: Chimney Saver. Chimney Saver is 100% vapor permeable, which means that it releases any water or vapor that has become stuck inside your chimney. Like the majority of our products, Chimney Saver has a 10-year manufacturer’s warranty. Schedule regular chimney sweeps with our New Britain CT or Farmington CT office; these sweeps will be able to detect any problems before they become serious. Contact us today to let us know how we can help repair or prevent damage to your chimney. 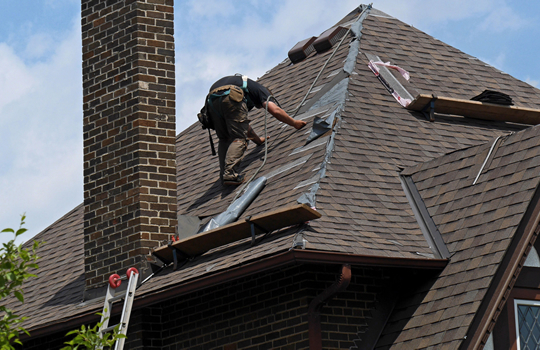 If you have an emergency, our chimney repair professionals are always on hand to assist you. We service the entire state of Connecticut. Our quality work, efficient time-management, and loyal customer service ensures you the best CT chimney work your roof has ever seen!